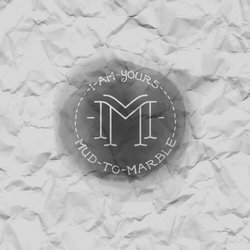 One of Melbourne’s most passionate, Christian, singer-songwriter duos, Mud to Marble, will launch their EP, ‘Whose Are You?’ in March 2019. Made up of husband-and-wife team, Jimmy and Sarah Rietmeyer, Mud to Marble have built a solid reputation for soulful and passionate worship. Their new single ‘I Am Yours’ is scheduled to reach radio on February 4th. The couple began their career performing at churches throughout Victoria before commencing study at Bethel School of Worship in Redding, California. When churches invited them to lead worship as guest artists, they were recognizable as the time they lead was soulful and passionate. Eventually, they were asked to share some original music. Their most recent release, ‘Kingdom Song’, has inspired radio audiences from Melbourne to Broome and everywhere in between. Taken From The Release Titled Whose Are You?